Dear participants in the memorial of victims in the KDP-I headquarter attack on 8th September 2018! I welcome you to the memorial meeting of those who were killed because of Islamic Republic of Iran’s missile attack on the KDP-I headquarter which led to 14 cadres and Peshmerga lost their lives and more than 40 were wounded. On this occasion let me once again extend my condolences to the people of Kurdistan, the family and friends their fellows. The Islamic Republic’s main excuse for the missile attack on KDP-I headquarter, according to the IRGC’s media as they say it clearly is: ”the centre which we targeted was a threatening Iranian national security …” as it is stated in this announcement and the video documentary about the operation and the video documentary of the operation, it’s clear that they have used drones to flying above the KDP-I headquarters aiming at the target which was the place for the central committee meeting on that day. The Islamic Republic regime purposely accuses KDP-I of taking military actions that forced the government to take such actions in their response. It is the same regime talking about security which during the last 4 decades of its existence internally has systematically abused the human rights, denied the right of diverse ethnicity and religion, through imposing dictatorship and supressing any kind of political or social freedom within the Iranian society, however externally through its interventions in other countries internal affairs and by violating the territorial integrity of other countries has created the biggest crises and instability. 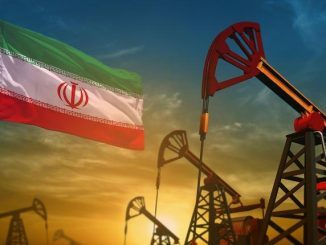 The Islamic Republic’s threat to the security and stability of the region is on such a level that if it is not contained, it is not farfetched that it would lead to endless crises and wars. In contrast with the Islamic Republic regime’s destabilizing role internally and externally, the KDP-I has taken the correct political path considering the regions circumstances in general and Iraq and Kurdistan Regional Government (KRG) in particular; KDP-I has never disregarded the rule of low in Iraq and KRG, additionally in order to improve the stability and protect the KRG’s interests, KDP-I has limited some of its activities to a great extent. It is solely from this point of view one can accept the IRGC’s claim regarding KDPI being a threat in the minds of the authorities of this oppressive regime. Because the message spread by KDPI and its policies, is a threat to the regimes stature and power. KDP-I aims, strategies and policies are to establish democratic values in a country that is governed by a nondemocratic regime, trying to achieve freedom and the rights of people of Kurdistan and other communities of the country which has been deprived by the administration, using its efforts and struggle to unify the power of different political parties and the people of Kurdistan and eventually connect and unite the Kurdish movement with political and social movements of the whole country. Our aim and policy is to direct, stimulate and defend civil society activists and the movement of the Kurdish people, that is the reason why the regime officials’ are upset. 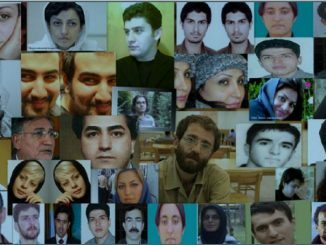 During the past 40 years, the Islamic Republic has been plotting and working against KDP-I. In this campaign there has not been a weapon that has not being used against KDP-I in order to stop it. This time, as it’s seen in their video documentary, their hope and aim was to target the central committee meeting to impose an irreparable damage to the political movement of the Kurdish people. Yet another plot which did not succeed and as you can see KDP-I is still standing continues the struggle. After the missile attack which was a violation against all legal, humanitarian, moral laws and regulations and violated the national sovereignty of Iraq and KRG and international principles, the attack was condemned by the people of Kurdistan, international community and among political parties. In term of Iraq, which its national sovereignty had been violated, the official reaction was not on a level which was expected. It seemed like they were complaining about not being notified in advance; which was an inappropriate reaction considering their sovereignty and interests, something we find it peculiar and questionable. Iraq’s silence regarding the Islamic Republic’s missile attack on the night of 1st October 2018 from Kermanshah to Syrian soil using the Iraqi air space, showed that Iranian government had been allowed to use Iraq’s air space, which if that is true every parties should know that this time the Islamic Republic without considering the legal barrier, the Iraqi government and allies has emboldened Iran to create crises in Iraq and the region. Regarding the KRG’s statement, even though they had condemned the Islamic Republic’s missile attack, however in their press release was mentioned that any attempt on Iran national security using KRG soil is not acceptable. 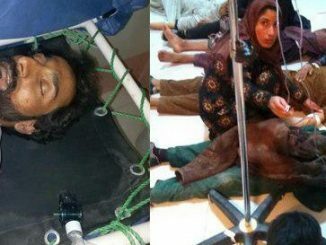 While, it was Iranian regime which started shooting Ballistic Missiles targeting KDP-I central committee, which is situated inside Iraq near Koy Sanjaq a Town on the soli of KRG, from a distance of 70 Kilometres resulting the death of 16 people, 6 of which were members of KDP-I leadership and more than 40 injures. Many European countries and especially the United State of America did condemn the attack and even the USA did bring the case to the United Nations Security Council, but despite all this we believe that this kind of condemnations and do not enforce such a on the Islamic Republic of Iran to halt its terrorist actions. Therefore repeating this kind of behaviour is our main concern. Hence KDP-I asks the international community, allies and particularly the USA and more specifically the Iraqi government and KRG to put clear line to the Iranian regime to prevent the regime to create more instability within the region. The horrible and bloody incident on September 8th was a big loss for KDP-I, however it became an opportunity for the political movement of people of Kurdistan to show another dimension of their struggle. The Kurdish people three days after the incident showed their sympathy and solidarity with the victims’ family and KDP-I and once more their ownership of their political parties through supporting them. The September 8th attack and the September 12th general strike resulted in another manifestation of the integration between the between political movement and civil society movement in East Kurdistan. Through their general strike the people of Kurdistan sent a clear and significant message to Islamic Republic of Iran which has tried for four decades to divide the people of Kurdistan and their political parties, they have failed gravely. 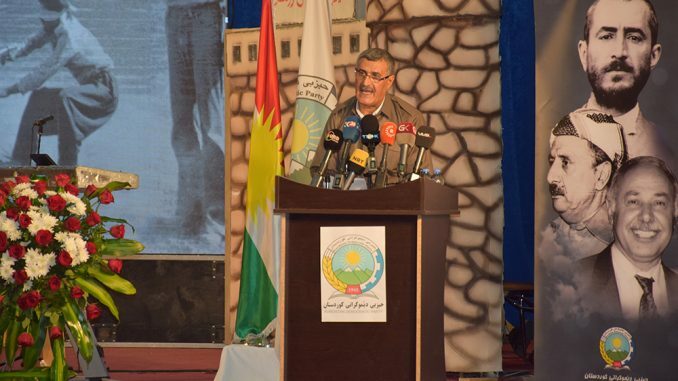 In addition, his Excellency Abdullah Hasan Zadeh, has stated many times that “you can see the better side of KDP-I when a disaster strikes” during the recent incident, both leaders’ word has become reality which proved to allies and enemies in this short time that the KDP-I has experienced a lot which makes KDP-I undefeatable.